The Staff Selection Commission has postponed the Combined Graduate Level Tier 1 examination 2018, as per latest reports. Candidates who had applied for the examination are advised to keep track as the new exam dates will be announced on the official website of SSC soon. SSC CGL Tier I exam 2018: The Combined Graduate Level (CGL Tier-I) examinations 2018 has been postponed by the Staff Selection Commission and the new examination dates will be announced on the official website of the Commission soon. 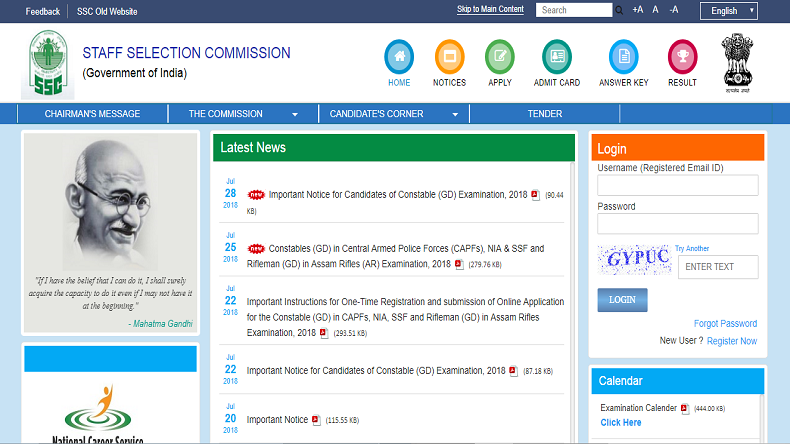 Candidates who have filled up the application form this year, can keep an eye on the official website ssc.nic.in. According to reports, the SSC CGL Tier-I exam 2018 were earlier scheduled to be conducted from July 25 to August 20. The commission is likely to issue the admit cards for the recruitment to various ministries and departments for the Group B and C posts as well. The selection of the eligible candidates will be done through four phases of the SSC examinations (Tier- 1 to 4) and once the candidates qualify them, they will be recruited by SSC for the posts.